The Silk Mark Expo 2018, Guwahati, will be held at NEDFi House from September 5-9. The Minister of Handloom, Textiles and Sericulture Ranjit Dutta is set to inaugurate the expo. Silk Mark Organization of India (SMOI) organizes Silk Mark expos exclusively involving the Silk Mark members, authorised users (AUs) of the Silk Mark labels who are weavers, manufacturers, NGOs, prominent silk dealers, exporters and government supported agencies from all over the country. 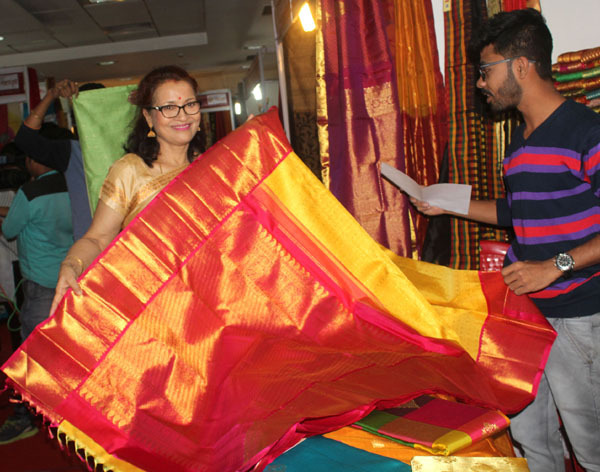 These events are ideal platforms not only to popularize Silk Mark labels and provide valuable linkages to all the stakeholders in the silk industry, but also to encourage the local entrepreneurs in silk to start business in the product. There are more than 3,818 AUs of the Silk Mark and over three lakh Silk Mark labelled products in the market. These labels are not only a mark of purity but also inspire confidence in the buyers to purchase only the silk mark labelled products while buying silk. This in turn increases the demand for pure silks benefiting the sericulture farmers and other stakeholders dealing in silk.